too. We will now share these in our writings." 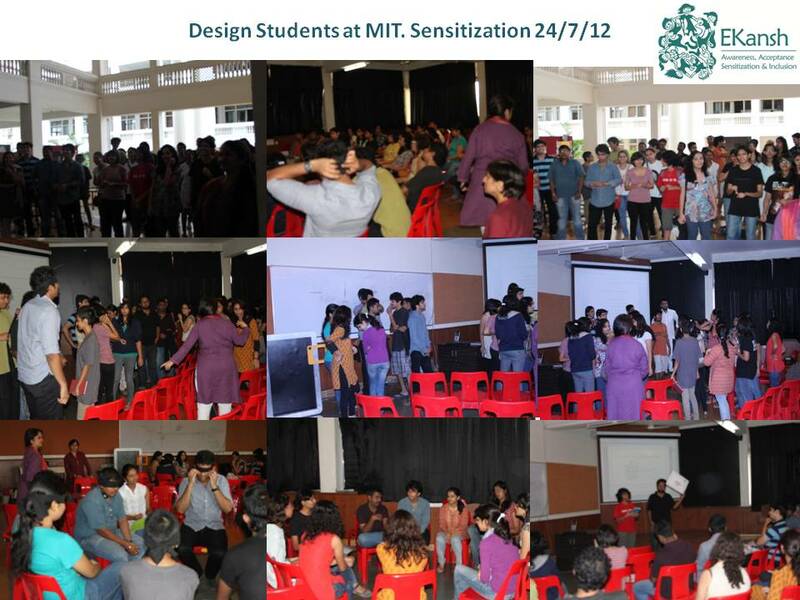 Sensitization for Design Students at MIT, Loni. 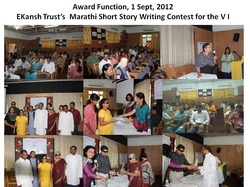 The conference was attended by concerned individuals from Pune and other parts of India most of who have worked extensively towards empowering PwD in different ways. The outcome of the conference was the proposal of a forum and the decision to publish handbooks with important information on Disabilities and related aspects, issues and solutions. 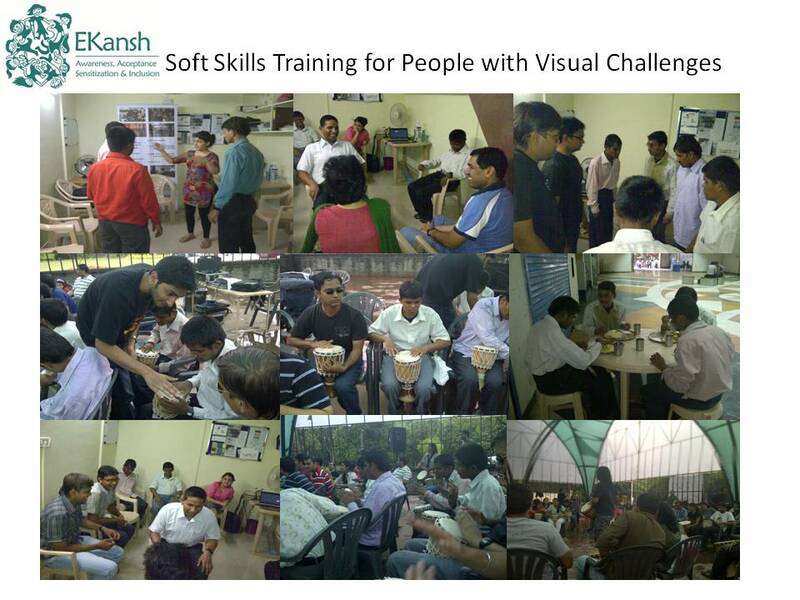 Participants with Visual Challenges came over to learn some soft skills at our Weekend Course on 16/17 June 2012. They learnt a lot and taught us some lessons too! We took them Djembe drumming with a motley group of people at Empress Garden, Pune after the training was over. Everyone watched them discreetly as they drummed in total abandon paying rapt attention to the audio cues they got from the group that was reacting to visual cues from the Taal Inc. team. Needless to say they had the time of their lives! 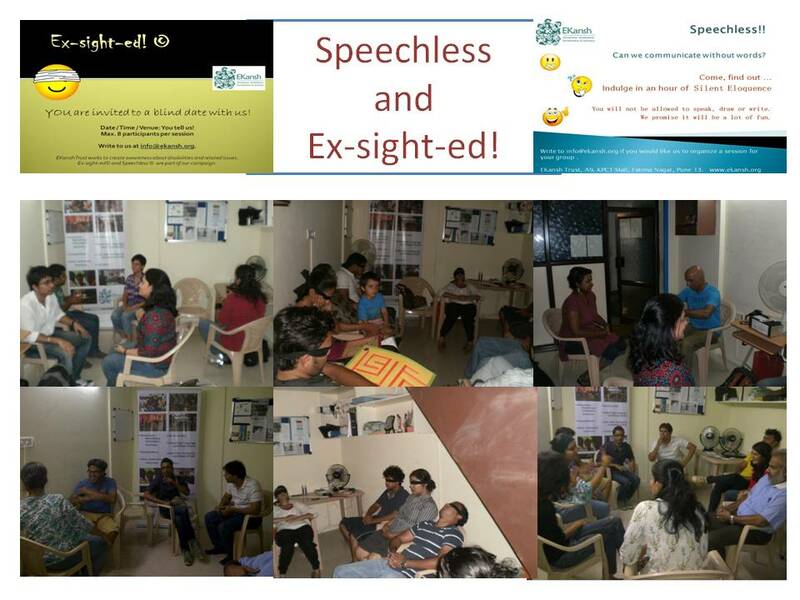 Speechless and Ex-sight-ed are our sensitization workshops for all. 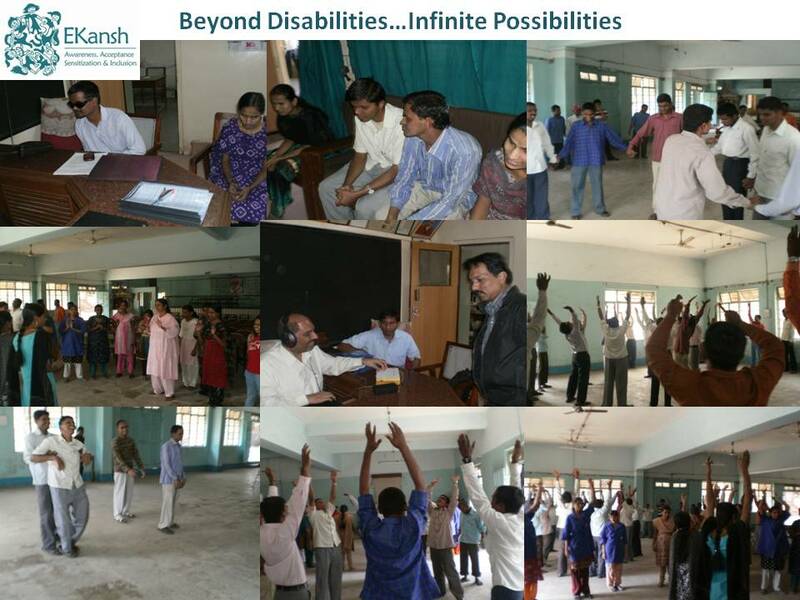 We had different groups of people participating and going back with a completely new understanding of Visual, Speech and Hearing impairments. Fabulous Wall Painting contest by Desart..wonderful turn out...fun morning. 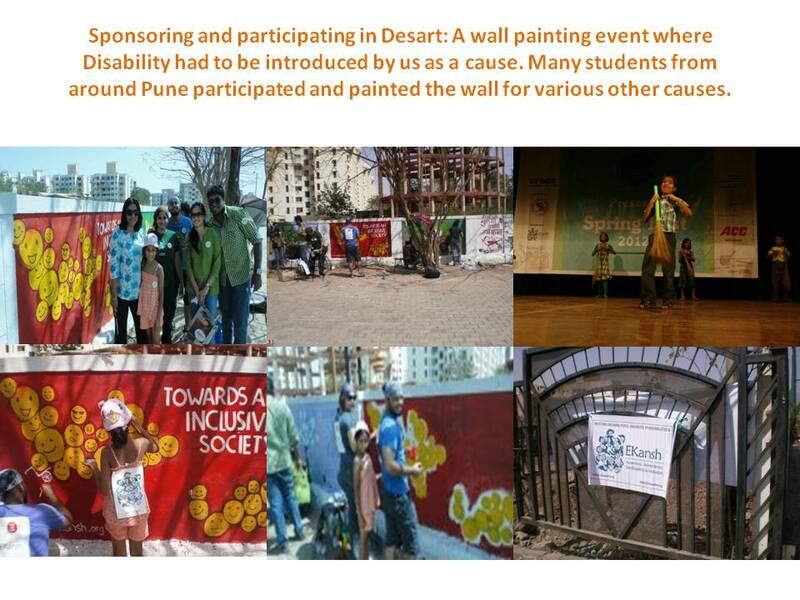 Disability wasn't one of the causes listed but EKansh ensured it made it to the wall..and the event. Association - TTI, Hadapsar. Confidence, self esteem, work skills and happiness. 11 of our students were absorbed in the VODAFONE call-centre right after our training. Our group learning Basic Indian Sign Language: We had students from Turkey, Germany, Bangladesh, USA, UK, Spain, Slovakia, Guatemala & India. What fun! Our calendars for 2012 with important information on prevention and detection of disabilities and understanding early steps to be taken once they are detected. We need your help to ensure that these calendars reach health workers/centres and other such organizations in rural and semi urban areas. The calendars are in SIMPLE MARATHI with a lot of pictures too. The main idea is to ensure that children born with disabilities do not miss out on early intervention. Please send us your address and work details in our contact form and we will mail you the calendars [3 per request] right away. Over 1100 calendars have been distributed already. Our work for early awareness continues.